we have the ultimate gift for you. From February through May 2017 we will be offering some Leonidas chocolates. To start enjoying your ultimate gift we have created some Chocolate and Caviar gift sets for you with special sale pricing. 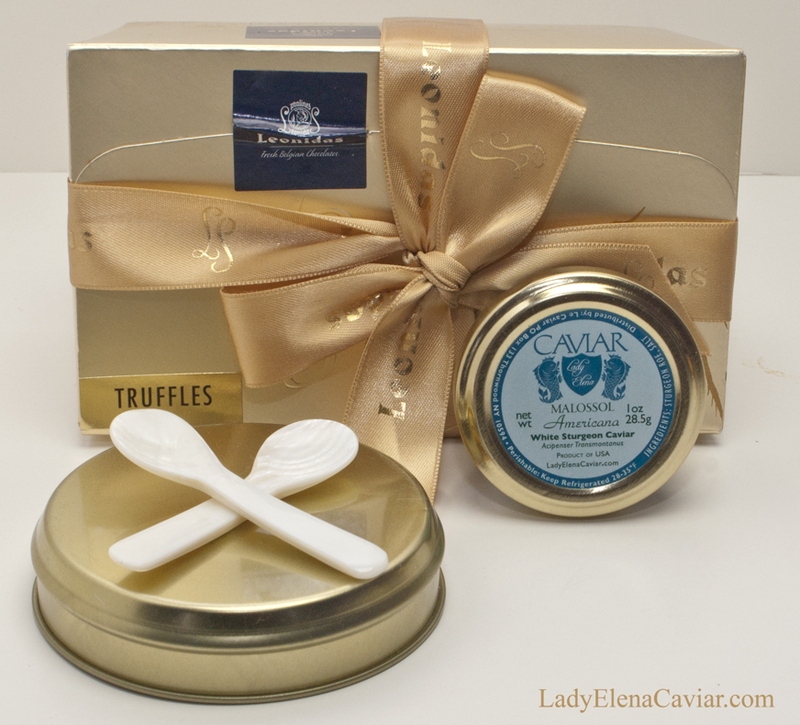 This gift set includes a half pound box of Leonidas chocolate truffles,1 one ounce jar of our White Sturgeon caviar with 2 Mother of Pearl spoons.